Use this application to make fast calculations of the parameters of beams and reinforced concrete, providing vital information about those items that every good civil engineer must know. 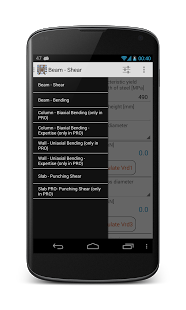 "My sister is a civil engineer and I was looking at tools that would make her life easier. She just got a new phone, so I figured she could get a boost in productivity with some apps. 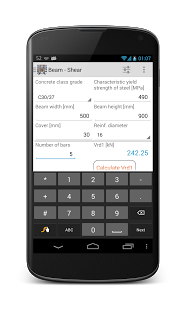 This Reinforced Concrete app will really make her life easier with the ability to do quick and accurate calculations in a variety of ways." 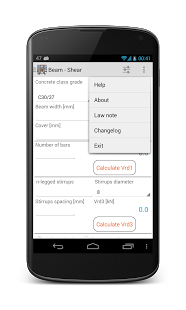 "This is a great assistant to any civil engineer working on site. 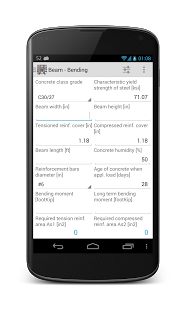 This application allows you to recalculate structure using codes for cement beans and other civil engineering construction products. 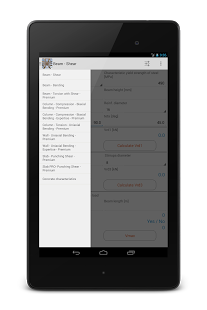 Load barrings and weight capacities will be a thing of the past when using this app to help you out." 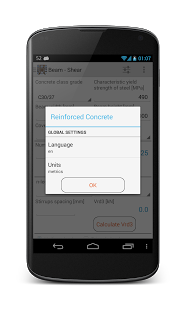 "Reinforced Concrete is a great app. The only thing holding it back is its limited appeal. There just aren't a lot of people who need to make these calculations. 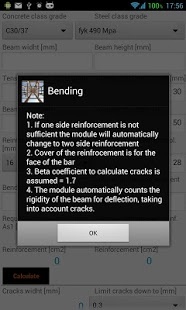 It's a godsend if you do, though."